Meet our new Office Dog! We’ve a furry new colleague – meet Chihiro! Chihiro is not our first office doggo – she joins Mollie and Millie, the Frenchies who inspired BEC’s ‘Two Dogs Bathtub Gin’ and regularly star in our office Christmas cards. 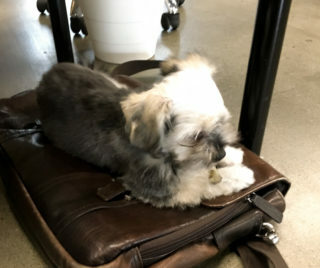 Recently Macy the Golden retriever and Chihiro (pictured relaxing on a messenger bag) have started dropping in from time to time. We’re strong believers in the benefits of office dogs, they relieve stress, boost the office mood and one study even showed they increase trust and team cohesion. 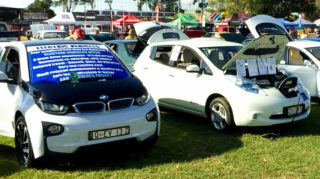 BEC was proud to attend this year’s Electric Vehicle Conference & Expo, held in Brisbane on the 9th & 10th of November. 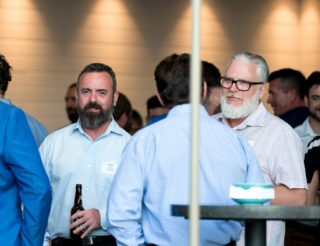 We were thrilled by the event’s ‘electric’ atmosphere, and the industry-encompassing spread of products & presentations. The Brisbane Convention & Exhibition Centre was ‘positively charged’ with passionate EV owners, enthusiasts, investors, professionals, and public servants. 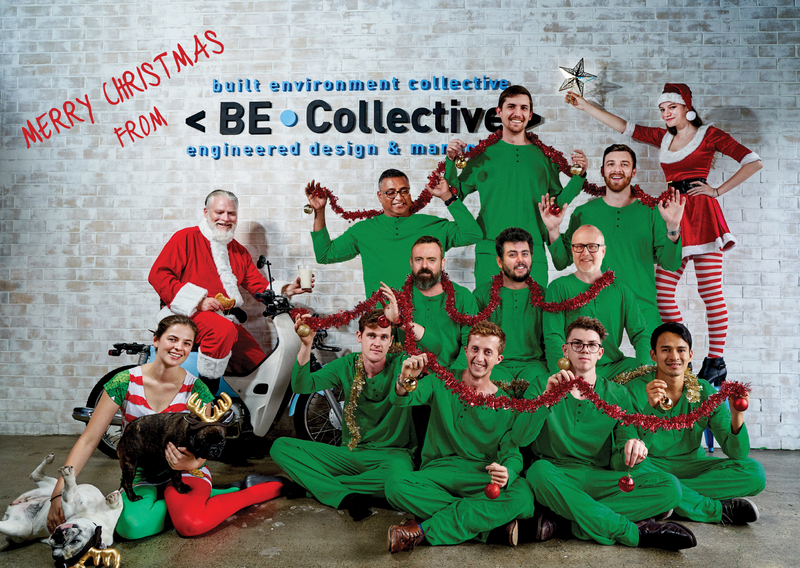 Puns aside; there were a few standout presenters & products that we feel are worth giving a shout out here; including Tritium, Fast Cities Australia, and SEA Electric. Strangely Tesla was not in attendance – at least not via a sponsorship or presentation on the Friday. In a landslide majority this October, the European parliament has voted to ban all single use plastics starting in 2021. This ban would affect single use plastic items that have a valid alternative, which will include things from plastic straws to fishing nets. The staggering 571-53 majority vote shows how seriously this issue is being taken internationally, an attitude that the BEC team seeks to reflect in our own efforts both in and out of the office. Plastic straws are among the worst of plastic pollutants, and the BEC team are stepping up to make a difference in our neighbourhood. 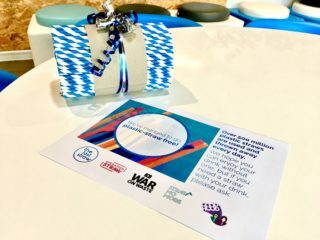 After making our own pledge to make our office plastic-straw free, we are encouraging our local restaurants and shops to make the pledge too, gifting them starter bundles of recyclable (and trendy) paper straws and pledge posters so they can advertise their change.